Below 5MB Games are the Games for Android which you can Play in your free time. We all love Playing Games that come with high graphics and look extremely realistic but Playing Low MB Games also has its own fun. So, today I’m going to Share Top 10 Below 5MB Games For Android (Low MB Games). When it comes to Android Gaming, there are many Games like Clash Of Clans, Clash Royale, Asphalt 8, Subway Surfers, etc. but playing less than 5mb games will help us to remember our childhood days. No doubt, we all love Playing Quality Games with realistic graphics but sometimes, playing the old games and Best Games under 5MB makes us really happy. In most of the cases, people don’t have enough storage on their smartphone, So, Downloading low MB games for android is the best option. In this growing technology, Smartphones are becoming cheaper and most of them has a high-end device but for those who are still using a low-end Android device, this Article will make their day. If you have a high-end device and looking for Highly Compressed Games, then you can Download Asphalt 8 Highly Compressed which comes only in 4MB. 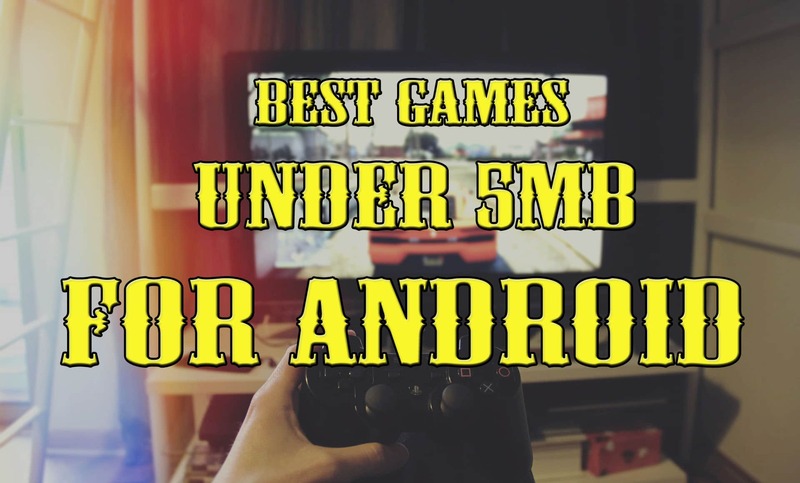 So, without wasting more time, let’s proceed further and check out Top 10 Below 5MB Games For Android (Low MB Games). Unblock Car is one of the most popular Sliding Block Puzzle Game for Android. The Game size is 4.5MB and it’s the best 5MB game for Android. The goal of this game is to get the red car out of the exit game full of automobiles by moving the other cars. In this Game, the cars and trucks will obstruct your path which will make the game difficult. In this Game, you’ll get 4 difficulty levels with 3000 puzzles. Complete all the puzzles and keep track of all the puzzles you’ve cleared. Zombie Smasher is another low MB Game under 5MB which is played by millions of people. The game is highly rated on Google Play Store. To play the game, you simply have to touch the zombies to kill them. Make sure you don’t hit the kids surfers from the neighborhood. Additionally, you can use the special power-ups to make the game easier. Overall, it’s the Best Zombie Game Under 5MB which comes with 60 levels in it. Pixel Dungeon is a traditional game with pixel-art graphics and easy to use interface. It is another Best Game Below 5MB for Android. Explore the depths of Pixel Dungeon, fight fierce monsters to find Amulet of Yendor. It’s somewhat difficult and luck-based game you can play. Simply, Select your hero and start playing the game. Overall, it’s the best low MB Android Games for Android Smartphones you can play. Who does not know Pac-Man Game? If you spend most of your time on the internet, then you’ll definitely know about this Game. It is the Best Game Under 5MB. In this Game, you have to navigate your Pac-Man through a maze containing various dots and four multi-colored ghosts. In this game, you’ll find flashing dots known as Power Pellets that provide Pac-Man the temporary ability to eat the ghosts and earn bonus points. If you are looking for a Car Racing Game Under 5MB, then this Game is for you. SpeedCar Racer is an Android Games which comes under 5MB and the size of the App is 3MB. It is a 3MB game where you have to collect stars with your speed car. To Change the lane, simply tilt your Mobile Phone like you play in other game. Moreover, it has a nitro option which you can use to speed up your car. Speed up your car and collect more points to compete with other players. Ninja Dash is another Best Fast Paced Running Game which is available under 4MB. This game can also be listed in this list of Game under 5MB. While starting the Game, Select your difficulty as Easy, Hard or Crazy to start playing the game. All ninjas need to take a course of training to master skills. Jump over the obstacles and roll through the obstacles and run as fast as you can. If you are looking for a ninja game under 5MB, then this Game is for you. If you love cooking, then this game is specially designed for you under 5MB. The size of this game is 2.9 MB which comes under 3MB Best Game. In this Game, you’ll find different levels to play where you have to tap and select the food, tap frying pan to cook, tap to place the food and finally tap to serve customers order. The game has two different modes; Casual Mode & Time Mode. You can play 3 difficulty levels in Casual Mode. You can download this cooking game under 5MB. Nitro Car Racing – Speed Car is an F1 Racing Game which you can play on your Android Device. The Game has 10,000+ Downloads on Play Store. In this Game, you have to stand up in the Car Racing with your F1 Racing Car. You can use Nitro to boost your car speed to cross the finish line first. The car can be controlled with Buttons, Steering Wheel & Tilt. 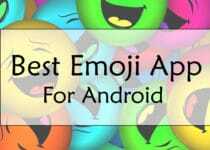 Overall, it’s the Best and lowest MB Free Game which you can download from Play Store. Love Playing Cricket and don’t have a high-end device? Don’t worry, with this gaming app, you can enjoy playing cricket on your low-end device for free. The Quality and Graphics of the game is really great and it doesn’t seems like this is a game under 5MB. It is a lightweight cricket app which can be played on most of the Android device with less space. To Play this Game, you simply have to tap on the Bat icon. If you love Watching Cricket and want to play cricket on low storage, then this game will be perfect for you. Another Game under 3MB is Football Black. If you love Watching Football and want to Play on Low Storage, then you must try this awesome game. It is a game less than 5MB which you can Play and make the high score to compete with the world via real-time live charts. Every Gameplay will let you earn coin which can be used to buy awesome game stuff. The Game is straightforward where you have to tap to shoot the ball into the goal. You can also compete with your friends in this game. This was the Article On Top 10 Below 5MB Games For Android (Low MB Games). Yes, I know we all love playing high-end games but sometimes playing small MB games will refresh our childhood memories. Also, high-end games use much battery, so we can play this game for Saving Battery as well. Apart from this, there are many Games under 1MB to 5MB and even 10 MB Games but here I’ve shared the Best out of them. All these games are free to download and you can download them from Play Store. Also, if you want to Play High Graphics Games, you should have a look at Games Under 1GB. Hope you liked this Article on Below 5MB Games. If you know any other better game than this, do let us know via comment. 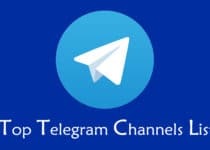 Stay tuned with us for more latest Tricks & Updates.